Here is an interesting piece. 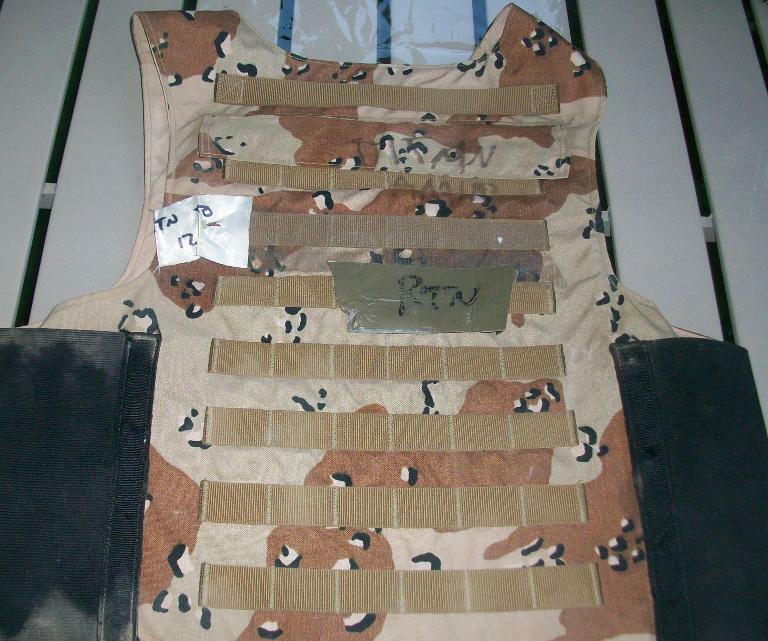 This is some body armor that belonged to an Iraqi "Terp" (Interpreter). 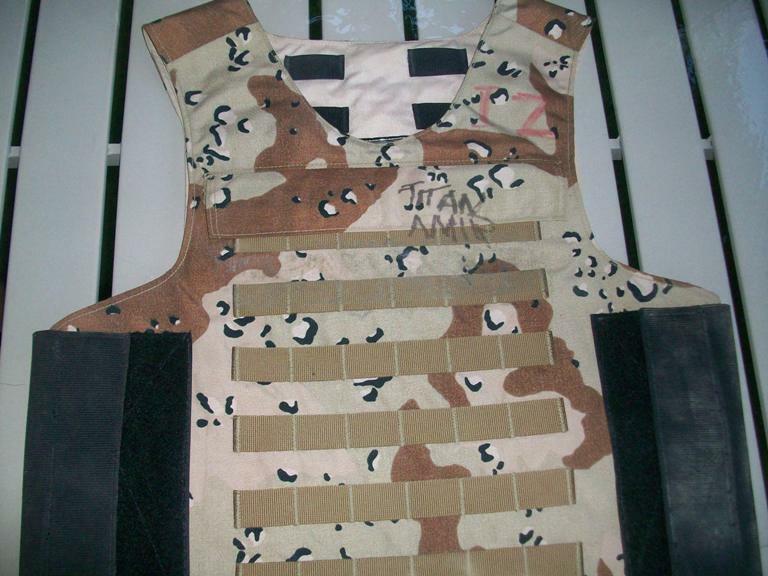 This piece of Iraqi body armor was made by Point Blank Body Armor. Name on the inside written in English. I think it says "Titan Amir". 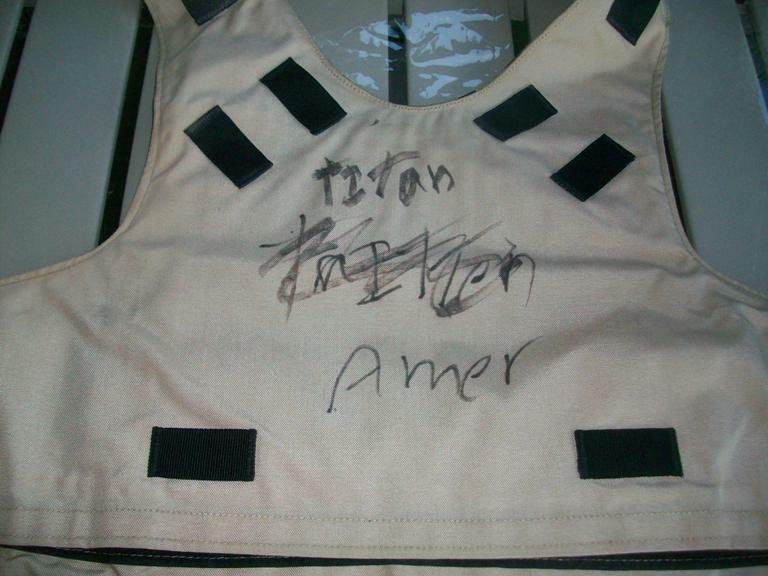 These names are also written on the outside of the vest. Back of vest. 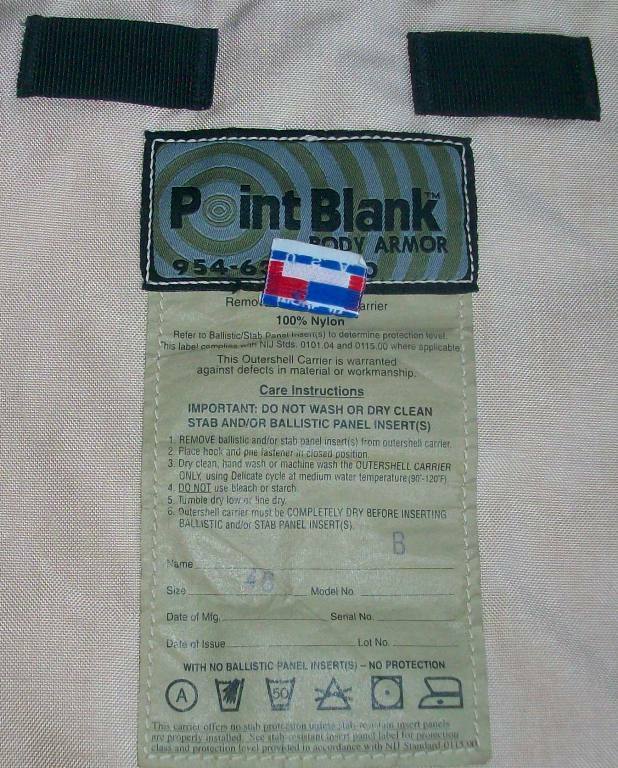 Inside the armor plate pocket were two tags that say: RTN to 12".